Each year, thousands of young Americans attempt to enlist in the U.S. Armed Services. A number of factors during a soldier's training could inhibit successful enlistment, including mental toughness and physical fitness levels. 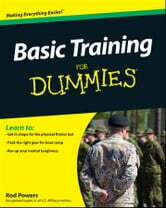 Basic Training For Dummies covers the ins and outs of this initial process, preparing you for the challenges you?ll face before you head off for basic training..
You'll get detailed, week-by-week information on what to expect in basic training for each branch of service, such as physical training, discipline, classroom instruction, drill and ceremony, obstacle courses, simulated war games, self-defense, marksmanship, and other milestones. 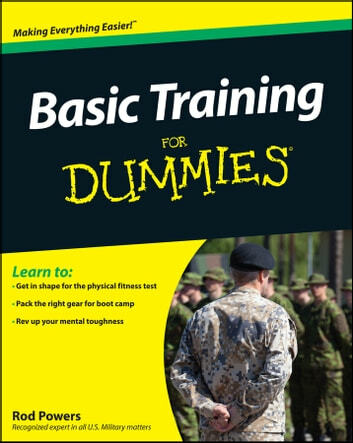 Whether you join the Army, Air Force, Navy, Marine Corps, or the Coast Guard, Basic Training For Dummies prepares you for the challenge and will help you survive and thrive in boot camp!